This week, I have decided to write a follow-up to last week’s article on Nelson Mandela. Yesterday, July 18, marked the centenary anniversary of Mandela; if he were alive today, he would have been 100 years old. It was a bitter-sweet moment for me as I celebrated an ideal that once was even as I fear that such may never again be. 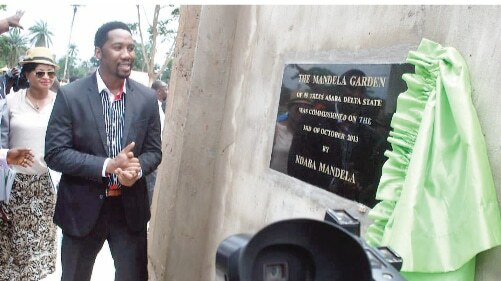 I am writing this article from the Nelson Mandela Gardens here in Asaba, Delta State, where the FADE team and I, in partnership with the South African Consulate in Lagos, and the Delta State government, have just concluded the two-day Nelson Mandela centenary celebration. We decided to take time out of our busy schedules to come together and honour such a great man. In addition, we thought it would be a great idea to educate the younger generation on what an icon Madiba was, this is why we also invited students from secondary schools to partake in the activities. An acute level of focus: Nelson Mandela, who was born Rohilala Mandela to a royal family in 1918, was always a man of peace. He became an activist in the university when he aligned with both black and white activists who were also involved in the fight against racial discrimination. He joined the African National Congress (ANC) in 1944 and it was when apartheid was introduced in 1948 that his alliance with the ANC grew stronger. Apartheid was a time when blacks were segregated from whites and Mandela was one of the people who were at the forefront of the fight against this. It was during this fight against apartheid that he was convicted of treason and sentenced to life imprisonment. 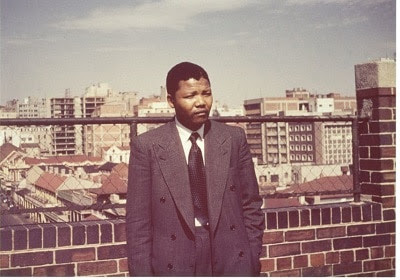 During his time in prison, his popularity grew around the world and, upon release in 1990, he immediately began negotiations to end apartheid in South Africa. The negotiations went on till 1993 and, in 1994, for the first time, a black man was allowed to run for the office of the President of the Republic of South Africa. Mandela, backed by the ANC, won the election and continued to fight for his people. Mandela’s fight against apartheid lasted 42 years. Such a level of focus is rare and is one of Madiba’s finest qualities worth emulating. A will to forgive: When I was a younger man, I was quite stubborn. Very opinionated and headstrong: It was due to this strong will that I, unfortunately, landed in jail for a few hours. I remember how upset I felt due to this ordeal and after I was exonerated by the court, I remember thinking of blaming the policemen who arrested me and making them pay. Although I did not see this through, the thought lingered in my mind. The point of this preamble is to tell you that prison time does evoke some malicious thoughts in the heart of a man. Even worse when you are arrested for a crime you didn’t commit. A desire to serve: Many ask why we celebrate Mandela the way do when he did nothing for Nigeria. Others say why only him, when so many others fought and died in the same battle for freedom? Some point out that we idolise him like a god when he was just as flawed as the next man. The man in question would be among this last set of people as he clearly said in an interview, “My first task when I came out was to destroy that myth that I was something other than an ordinary human being.” I do not deny his humanity, instead, I am inspired by it. Man can be ultimately a leader who puts the needs and interests of those he leads first. This is one of the many reasons why Mandela remains a celebrated hero. After being elected South Africa’s first black President, Mandela announced he would serve only one term, though two were permissible. He understood that rallying the country and bridging diverse interests meant making room for others.